Tower Bridge is one of London’s most recognisable landmarks and connects the East End Borough of Tower Hamlets with the south-east Borough of Southwark. It was opened in 1894 and is Victorian architecture at its finest, acquiring Grade I listed status from English Heritage in recognition of its architectural quality and international fame. Its nearest tube stations are Tower Hill (on the Circle and District lines) and London Bridge (on the Jubilee and Northern lines) with London Bridge rail services and Tower Gateway, on the DLR, also close by. The surrounding area is one of the oldest and most interesting in London. This is the London of Dickens, and it is rich in history. 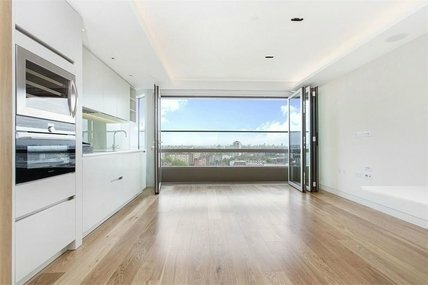 With London Bridge a short walk away, getting in and out of the city is easy, and property in the area is at a premium. Besides Tower Bridge, there are many other attractions nearby including the Tower of London, Borough Market, The Shard and the London Dungeon. And with excellent transport links, the rest of the London is easily accessible. The majority of the properties in Tower Bridge are flats and apartments, many situated in the popular Shad Thames with its trendy warehouses, cobbled streets and plentiful character and history. These apartments are fitted to an extremely high standard with original features such as brickwork and beams. The tall industrial buildings are truly eye-catching with their high walkways criss-crossing from one building to the next. These are ideally situated for professionals who enjoy the close proximity to the City and Canary Wharf yet yearn for a spacious outlook which the balcony view overlooking the Thames certainly provides. Additionally, the complexes come with welcome perks such as an intercom system with secure video entry, mail boxes located in the front lobby of the building, a weekly maid service, welcome desk, fax machines, extra phone lines, an office desk and wireless broadband. 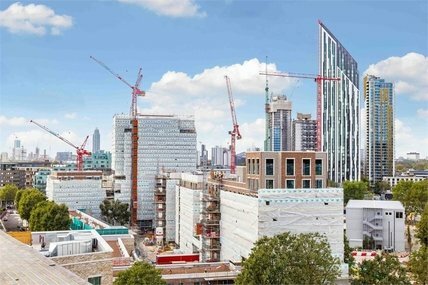 Much of the local area has been very successfully regenerated over recent years with Elephant and Castle currently in the midst of a multi-million-pound makeover. 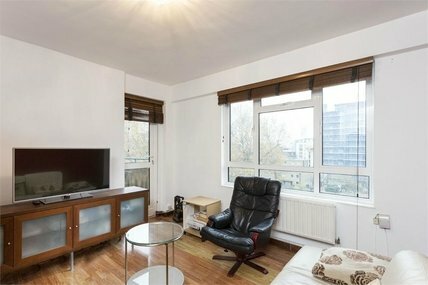 At present, Elephant and Castle is one of the most affordable areas within Zone 1 of the London Underground, while homes on the Old Kent Road are very reasonably priced and consist of one or two bed flats and some terraced and semi-detached properties. The nearby Bermondsey offers more homes with period features, such as the Dickensian warehouses of The Jam Factory and Butler’s Wharf. Another major development is Bermondsey Spa, between Spa Road and Jamaica Road, which will ultimately see the construction of more than 2,000 new homes. This is a joint venture between Southwark Council and the Hyde Group and will create two new health centres, an NHS dental practice, pharmacy, youth and play facilities, re-landscaped open space, shops and new council offices. 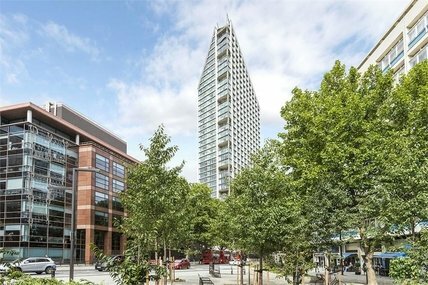 To find out more about what this area has to offer, plus the wide range of property in Tower Bridge available, please contact our estate agent office on 020 7407 1066. Primary schools in the Tower Bridge area include Snowsfields Primary School, Tower Bridge Primary School, Hermitage Primary School, Beormund Primary School, St Joseph's Roman Catholic Primary School and Grange Primary School. Secondary schools include ARK Globe Academy, St Michael's Catholic College, Bacon's College, Harris Academy Bermondsey, Spa School, Walworth Academy and Wapping High School. The main regeneration project in the Tower Bridge area is the London Bridge Station project. This has been going on for a number of years, and it will be finished in 2018. The Thameslink Programme is providing more trains and better direct journeys as well as improving the track layout. The News Building is another recent development. It involved creating 600,000 square feet of office space, and it opened in 2014. Tower Bridge Piazza is another planned development that will see the historic piazza to be turned into a restaurant hub. The New Southwark Plan is a smaller development plan that includes plans for Tower Bridge Road as well as the development of Bermondsey Street, with plans to reduce congestion. Overall, the area is constantly undergoing largescale renovation to continue transforming one of the oldest areas of the city into a modern and thriving area. The first crossing for the Thames was actually London Bridge, however as the city grew more bridges were needed but only to the west initially. As the east of London became more populated, in 1876 it was deemed that a further bridge was required. The City of London Corporation, responsible for that part of the Thames, formed a "Special Bridge or Subway Committee" in order to come up with the right design and in 1884, Horace Jones, the City Architect, came up with it. Eight years and five contractors later, Tower Bridge was finished and represented the largest and most sophisticated bascule bridge ever completed. In 1910, due to a lack of use the high level walkways, designed to allow pedestrians to still cross the bridge when the crossing was raised, were closed. It wasn’t until 1982 that the walkways re-opened as part of the new Tower Bridge Exhibition. Tower Bridge is very well connected, with Underground and Overground stations as well as numerous bus routes. The Tower Bridge area, between the popular London Bridge and Aldgate areas, offers easy access to the City, Canary Wharf and other parts of the capital. The main attraction here is Tower Bridge itself, a Victorian bridge that was built in the late 19th century and has become an iconic structure of London. You can head right up to the top of the bridge to walk across it, and as well as enjoying the fascinating exhibition you will be able to see stunning views from the top. The lively Bermondsey Street is close by with its many bars and restaurants, as is the South Bank with a range of restaurants and attractions including the Tate Modern, Shakespeare's Globe theatre, the London Eye, and the British Film Institute IMAX. Just across the river you can also visit the Tower of London, which is one of the best attractions in the city. Go on a tour with a beefeater, see the famous ravens, marvel at the Crown Jewels, and find out all about the fascinating history of the tower. Nearer to London Bridge are the Fabric and Textiles Museum, the Design Museum, British War Museum, Borough Market and the London Dungeon.